If beauty and durability is what you are seeking, you’ve come to the right place. 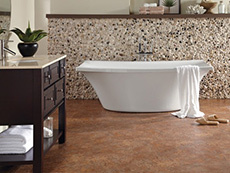 Create a mood in your home instantly with quality flooring from Benson Lumber & Hardware. Whether you prefer plush carpeting or a beautiful hardwood, our design team will help you choose the floor that works for you. Our installers will install your carpet, tile, or hardwood floors, or you can do it yourself with many choices from easy to install laminate to beautiful hardwood. Take a moment to get inspired and then stop by and talk with one of our flooring designers to get started!